Before we embark on this learning journey let me first give an overview of what Photoshop is, for people who don’t know about it. Later we shall learn how to open a vector file in Photoshop and also explore some best practices to use vectors in Photoshop. 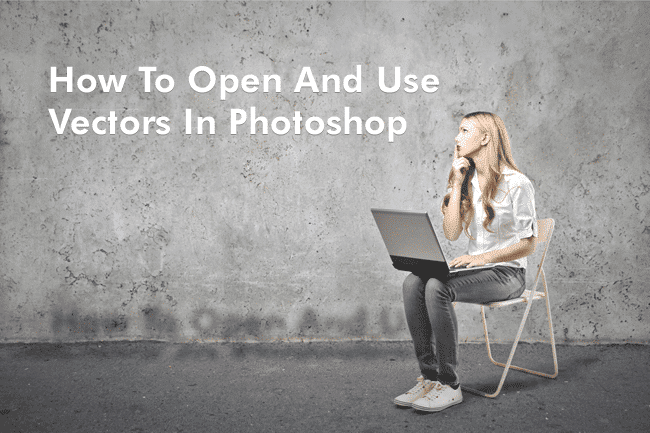 If you’re well acquainted with Photoshop you may skip to the next section on ‘How to open Vectors in Photoshop’. All of the Vector Graphics on offer are in .EPS format and can be completely customized. Check out Vectorfresh and more about their early bird offer here! Photoshop is a Bitmap editing application which is ideally used to edit photograph and to manipulate images. It is also widely used to create digital artwork, but the output is always in a Raster format. This leads us to another question regarding image formats. So let’s discuss image formats to have a better understanding of the subject. 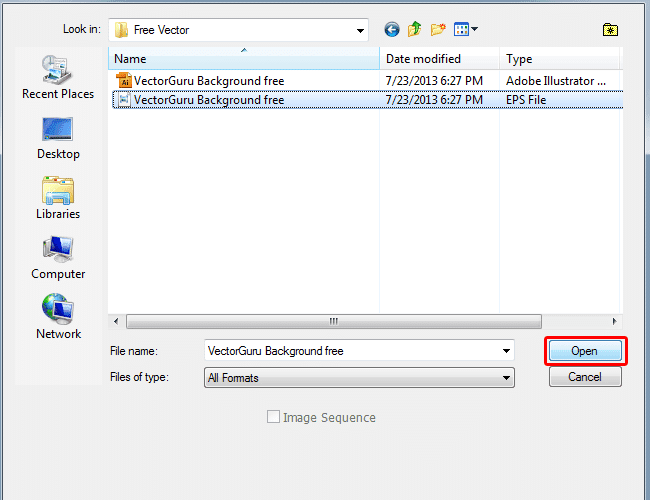 Adobe Photoshop Vectors – how? There are mainly two formats in computer graphics, namely raster and vector. Raster images are pixel based and are resolution dependant. 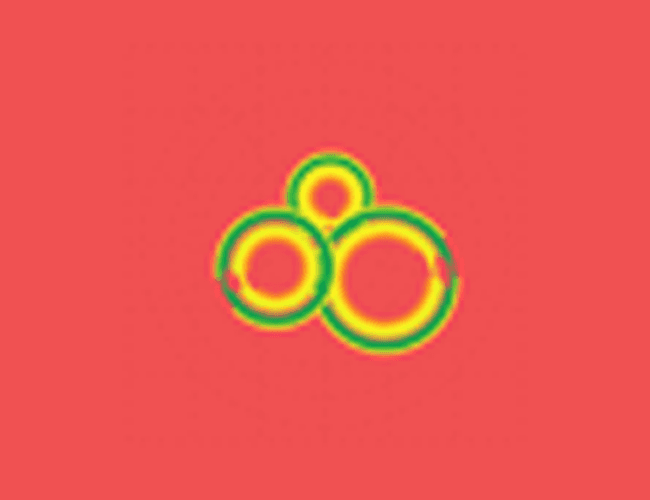 This means that these Raster images cannot be scaled without losing their picture quality. Vector on the other hand are created using dots, curves, lines and polygons and are completely scalable or resizable without any loss of quality. You may visit our earlier post to learn more about the difference between Raster and Vector formats. Coming back to our earlier point, Photoshop is a bitmap or raster editing software and is well suited for image editing purposes. Vectors cannot be completely edited or created using Photoshop. If you’re disappointed in Photoshop for this reason, please don’t be. The good news – Vector files can be resized and used in Photoshop and also retain its picture quality. How can you do that? Let’s move on to learn how to open and use Vectors in Photoshop. For our purpose I’ve created a background in Illustrator and saved it as an EPS file as this is a widely distributed Vector format. I shall be using this abstract background to demonstrate the right technique to open and use Vectors in Photoshop. Try it yourself! Download my Demo File! Download my demo file for free, if you like to follow my step-by-step guide below. This way, the EPS file opens as a Smart Object. So we've opened the EPS or the AI file in Photoshop. Let’s begin using it right away and learn as we go. First, let’s look at the two images that has been opened. 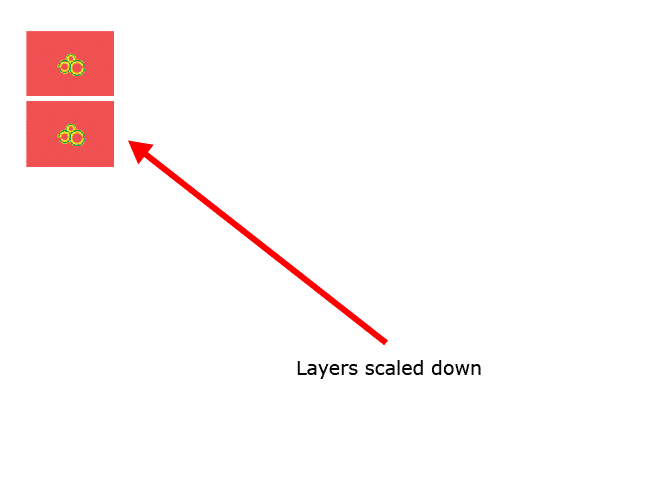 This is how the images appear in the layer panel for both files – one with the normal image layer and the other as a smart object. Now that we have the same file opened differently, let’s look into why it’s ideal to open Vectors as Smart Objects in Photoshop. Smart object lets us do non-destructive editing in Photoshop. This means that we can transform or resize the image as much as we want without losing the picture quality. Let me demonstrate this aspect for you to clarify. 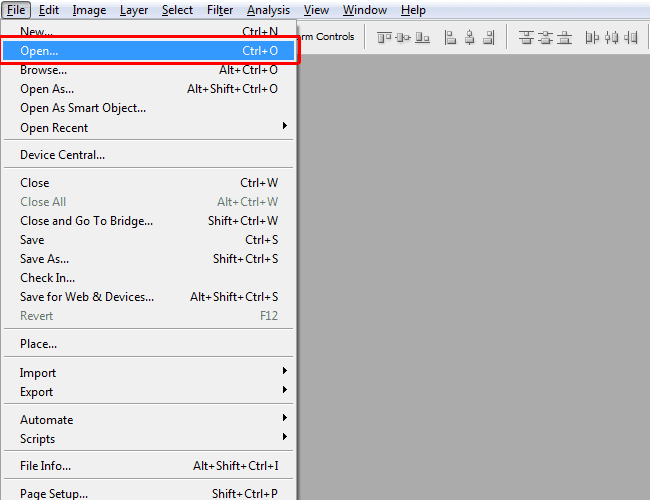 I have dragged both these files aka layers – simple layer and the smart object layer to another file. I shall now scale down the image. Once done, I shall scale up the both these layers back again.The results after scaling up given below and without a question the Smart Object has retained its picture quality despite the scaling. The normal layer on the other hand has lost its quality and charm. There’s another advantage of opening a file as smart object. You can apply Photoshop filters to this layer and alter it at a later stage in your work. You can go back to the filters settings whenever you want and can also adjust the opacity of these filters. You can also apply a couple of image adjustment settings and edit it later. That’s not all – there’s another big surprise. 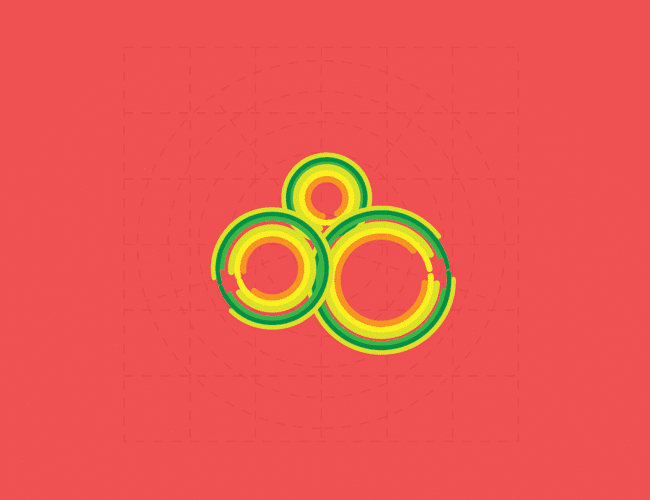 You can double click this Vector Smart Object layer and voila! The file opens in Adobe Illustrator in its true form with layers and shapes as editable vectors. More on how to open and use Vectors in Photoshop. You can also open the file as is and later convert to a smart object. This way it will still have the non-destructible editing features but will open as a separate Photoshop file when double clicked. Unfortunately it does not open as Vector in Illustrator. 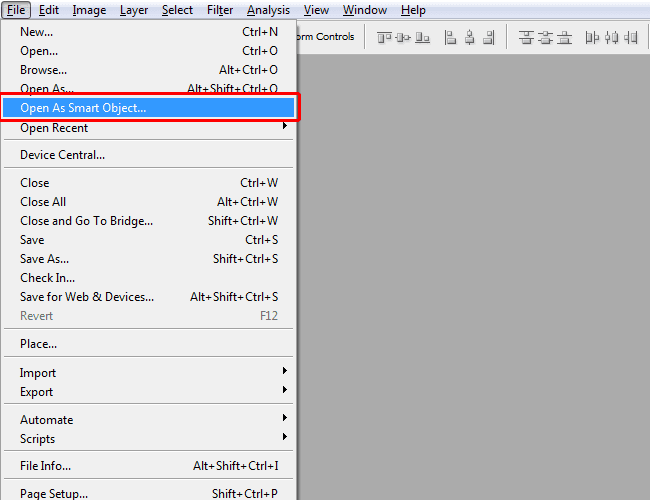 This way too it opens as Smart Object and when double clicked, opens in Illustrator. So let me conclude that its ideal to use Vectors as Smart Objects in Photoshop so that we enjoy all the benefits that I mentioned earlier. I hope you make the most of your Vectors in Photoshop as well, as much as you do in Illustrator or one of many Illustrator Alternatives. By the way you can download this amazing Abstract Vector Background that we created in Illustrator. Absolutely Free! 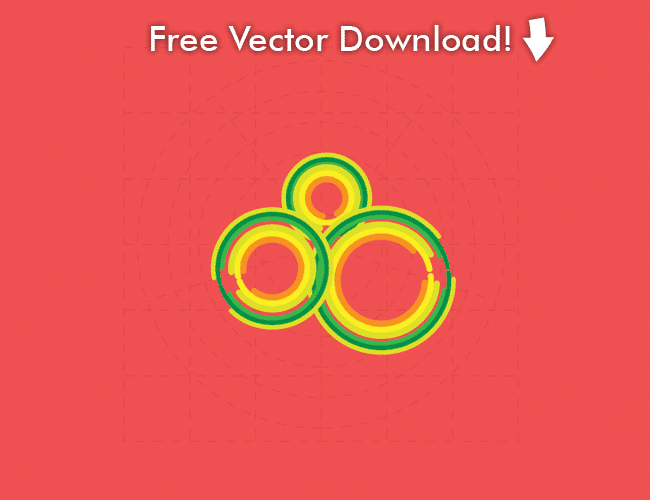 You may subscribe to our newsletters so that we may keep you posted on some great stuff on Vectors and Freebies galore. Thank you very much, this article helped me alot! You are welcome Hakon! Glad we could help. thanks a lot…for this . I’m not a graphic designer, but this helped me understand this perfectly. Thanks. Glad we could help Brett! Thank you for explaining this. I am looking at having a photography logo made. It comes in an AL EPS file and I only have photoshop. Can I alter the text or colors later? I don’t think so Steven. You would need to have an active Adobe Illustrator installation on hand to edit the AI file. I recommend always get the EPS file or SVG file from your designer, which will let you edit it in many cheap or free software. I’m making a photography logo as well and my badges and pieces i got all come together on a grey background and I’m wondering how i separate them from the grey background to no background and how i edit fonts. Sorry but I can not help you with this question. I do not see the AI. file you are trying to open. Thank you very much for this information. I was able to change a logo and keep the file in its original quality. I have the same issue as Wes from January 23rd. Not sure where I’m going wrong. I think this has to do with the source vector file. The “canvas” of the vector might be too small. I recommend to open it quickly in Adobe Illustrator if you have the Adobe Creative Cloud and then copy and paste into Photoshop. Thank you. It is going to be quite useful for me. Just one question – Is there a way we do some basic editing of a vector in Photoshop? For example, If I want to place an image just above the yellow circles of the vector you shown in this article, but below the red circles, is it possible? I mean, can I hide and unhide every individual components of a vector in Photoshop? Hey, thanks for the step by step tutorial. It helped me.